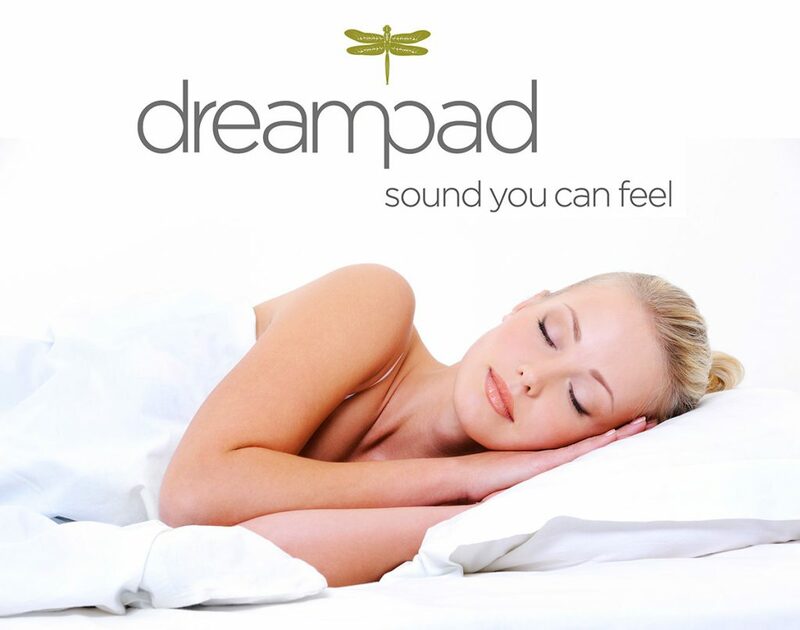 The Dreampad is the only pillow that uses bone conduction technology. Sounds fancy, right? To explain it in a simple way, bone conduction uses sound waves to gently vibrate the bones that are inside your head. These waves then get transmitted into the cochlea, which is in your ear, which receive them as sound. What makes it different from ordinary sound is that you are the only one who can hear them, unlike regular sounds, which can be heard by the people near you. Do you follow so far? I’m a science geek so I love this kind of stuff. So, because the Dreampad uses bone conduction technology when you lie on it, you are the only one who can hear the music of your choice. No matter how close the person is next to you, they can’t hear it. And here’s what gets you to relax. Music has been proven to be a powerful tool for causing people to get calm and manage stress. If you want to read a short article about it, here’s one for you. In our world of high stress, we need all the help we can get, right? Okay… all that may be true. But like I said earlier, the Dreampad only plays music for the pillow user, and not anyone else. If you play music in your bedroom before you sleep, everyone in the room can hear it. If you and your partner have exactly the same taste in music and agree on the volume it’s played, and how long it will play – great. No need to buy the Dreampad, just use whatever music player you have on hand, right? But truthfully, I have yet to meet a couple with the exact same taste in music, the volume of playing, and all that. And people love (and need) their sleep, so if you want to play something to help you sleep, and it disturbs your partner, this is definitely a bad idea. Take it from me, I have a partner who demands complete silence and darkness in order to sleep. Even the soft hum of an air conditioner or electric fan keeps him awake, which, on warm nights, has not been pleasant…for me. So, when I need to have music playing, or listen to a podcast before I sleep, I take my earbuds to bed, which eventually hurts my ears because I’m a side sleeper. Therefore, the idea of a pillow that plays music that only I can hear is appealing. You’ll see from the reviews that people are very surprised that their partners cannot hear the music they hear, and even when they lift their own head off of the Dreampad, they stop hearing the sounds. Very cool. This is because the sounds that the Dreampad produces is picked up by your inner ear, and not the outer ear. It’s supposed to have a very relaxing effect on your body, helping you de-stress. The manufacturers cite a study from Columbia University, of adults with mild sleep issues who were helped by the Dreampad to sleep well through the night. Another study cited talked about people who experienced an “immediate calming effect” within five minutes of using the Dreampad. Sleep doctor Michael Breus recommends the Dreampad to people who complain that they have a hard time turning their minds off at night, and therefore for them, sleep is hard to come by. The doctor also says that this pillow “seems to trigger” the relaxation response in the human body. Users say that the pillow works especially well for hypersensitive children, and also those who struggle with anxiety or experience night terrors. Studies show that it is an effective non-invasive and non-pharmacological sleep aid, and so there is no risk of addiction or any other health complications. The Dreampad works a couple of ways. You can download the Dreampadd app, put your phone on airplane mode and plug it into the port in the pillow, or stream playlists via Bluetooth, but for this, you’ll need a separate Bluetooth receiver. (I also read that if you have an iPhone 7 or later, you’ll need the Bluetooth receiver—this is good to know!). Medium support Dreampad – which is good for all sleeping positions (back, side, stomach). This is the company’s best-selling model, which combines support and comfort for nearly everyone. It’s 20 by 28 inches, filled with hypoallergenic polyfill down alternative in a 100% cotton cover. Memory Support Dreampad – same size and cover as the medium support pillow, but this model is filled with memory foam for the people who cannot sleep without their memory foam pillow! Firm Support Deampad – also has the same size and cover as the medium support one, but has more has more polyfill down alternative stuffing for those who like higher pillows. Slim Support Dreampad – this one is filled with foam and is smaller, at 13 by 18.5 inches. It was designed for people who like slim pillows (they exist? Show me where they are!?) or smaller children, or for traveling since the dimensions allow it to fit into any carry-on. So, this way, you’re never without your Dreampad, and you even have the option of traveling with it. Price-wise, the Dreampad is a little bit costly, but I think this is to be expected due to the bone conduction technology employed in making the pillow. This pillow is made in the US, and there you can enjoy free shipping. The Dreampad comes with a 6-ft. extension cord and has a 30-day money back return policy, as well as a one-year warranty for manufacturers defects. So, it may not be the least expensive pillow in the world, but the manufacturers make sure you get your money’s worth, in my opinion. The Dreampad has been reviewed and featured rather extensively on forbes.com, Huffington Post, and other online publications, and the reviews have been pretty positive. The reviewers reported a better, more relaxed sleep experience, and that they’ve been able to fall asleep faster. But I also wanted to check out reviews from people like me and you, who don’t receive freebies or don’t write product reviews for a living. I’ve read a lot of positive comments, especially from parents whose children are on the autism spectrum, or just have trouble sleeping at night. The parents (and grandparents) who wrote about the Dreampad seemed genuinely happy and grateful that the kids were sleeping better. And many buyers are just amazed that they are the only ones who can hear the music playing from their Dreampad, which meant that their partners could go on sleeping undisturbed, no matter how long they used the Dreampad app. However, there were a few complaints about the Dreampad. One was that the Bluetooth function did not seem to work well, but kept dropping. Number two, the Memory Support pillow had a strong smell. Well, we know all about off-gassing by now, right? Some pillows that use memory foam need to be aired a free days before the chemical smell goes away. Lastly, quite a number of people felt that the pillow was uncomfortable. Now, you and I know by now that pillows are highly subjective. A pillow that’s someone’s dream can be another person’s nightmare, so if you like what the Dreampad can do, but don’t find the pillow comfortable, that’s really too bad. I am intrigued by this pillow. I’d love to try it one day, and the price, though a little high, is not unreasonable. I love it too that they have a travel pillow option, so you can take it if you like to travel a lot, like me. 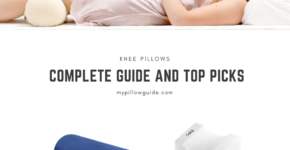 Which reminds me, if you need a rundown on the best travel pillows, look no further than here. I probably won’t be able to use the pillow for podcasts, since audio for spoken words doesn’t work well with bone conduction technology, but at least I can listen to my favorite music, or sounds until I fall into a deep, relaxing sleep.